State public health officials are trying to find out why eight medical marijuana manufacturers did not apply to be the supplier in Iowa. In late November, MedPharm Iowa got the state license to grow marijuana and manufacture cannabis oil here. Iowa Department of Public Health director Gerd Clabaugh says the law allowed two licensed manufacturers. But of the nine, MedPharm Iowa was the only company that completed the process and applied for a license. 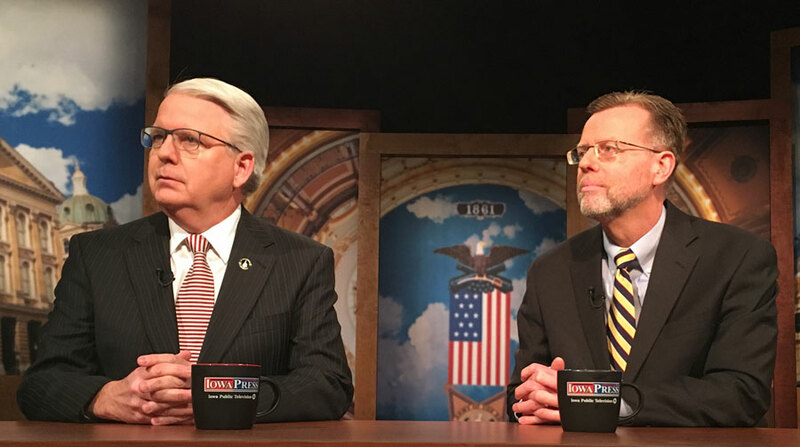 Clabaugh says they offered “a variety of reasons” — including sticker shock. Companies can expect to pay up to $200,000 in state fees to grow marijuana and then make cannabis oil. This spring, state officials will grant licenses to distributors. The first prescriptions for medical marijuana are to be filled in Iowa by next December 1st. John Forbes and Gerd Claybaugh. 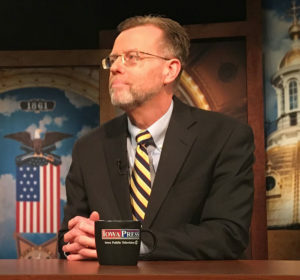 Representative John Forbes, a Democrat from Urbandale, is a pharmacist. He says some estimates indicate it could cost the state as much as a million dollars to oversee the program. “One of things we want to try to avoid doing is pricing ourselves out of the market by overburdening the companies that are going to get into this business by a bunch of fees because when we do that, they’re going to have to pass those costs back on to consumers who are going to purchase medical cannabis here in the state,” Forbes says. 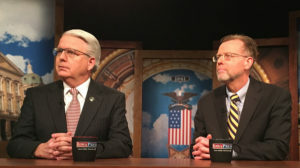 Forbes and Clabaugh made their comments during an appearance on Iowa Public Television’s “Iowa Press” program.